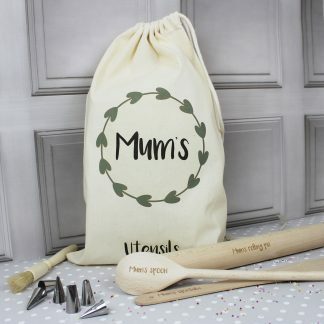 A lovely gift idea for Mums, Mummys and Grannys who love to bake with their little ones. 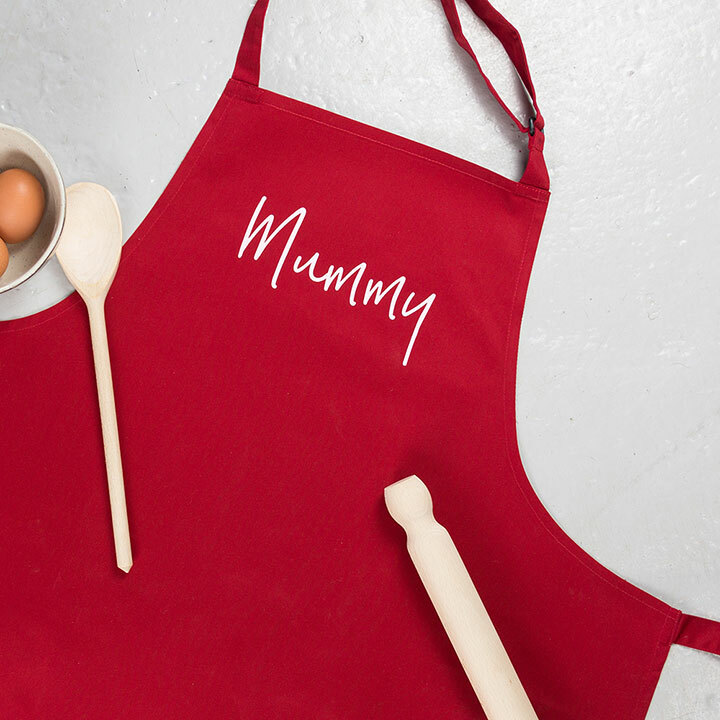 This perfect Mother’s Day gift includes 2 aprons – one adult size and a choice of two child sizes. 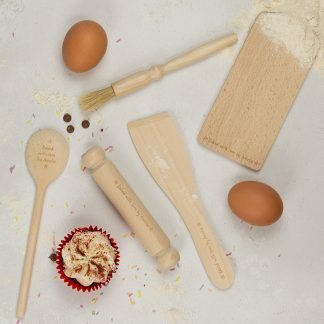 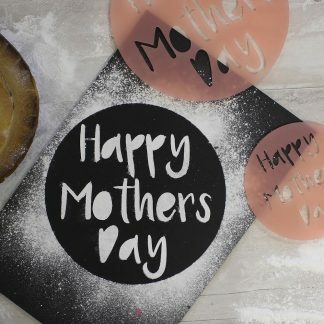 One for Mum, Mummy, Grandma, Nanna etc and one for whoever she likes to bake and create memories with. Perfect for Mother’s Day, the aprons are available in the gorgeous red shown in the image or a natural colour with a multitude of text colour options. 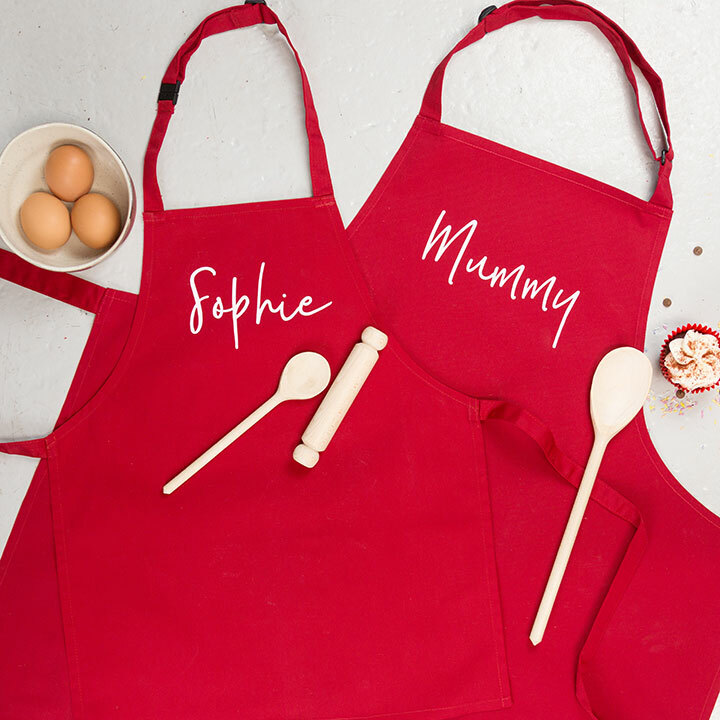 A fabulous gift for creating lots of baking and special memories…Just let us know the name you would like on each apron in the boxes over on the right. 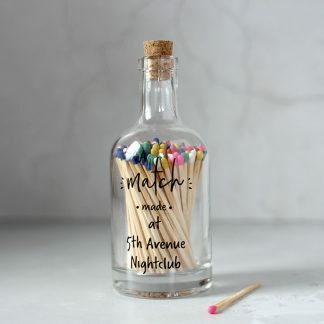 65% polyester, 35% cotton. 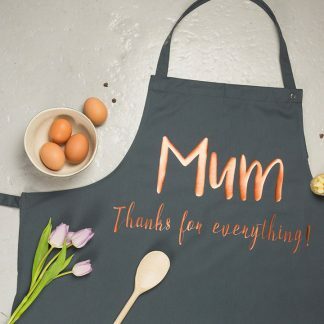 Suitable for machine washing. 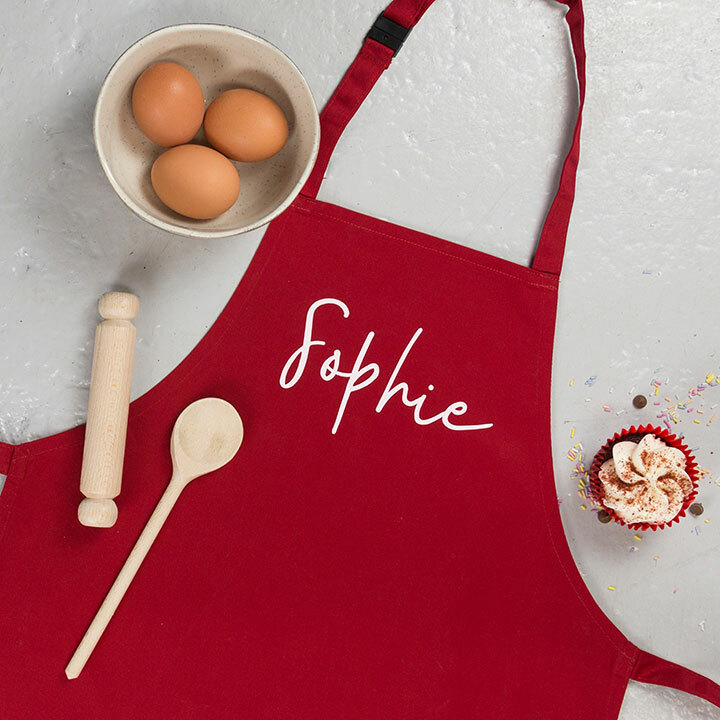 Adult Size: Length from top of bib to bottom of apron 87cm.